This new fellowship position comes at an exceptionally important time in the reproductive rights, health and justice movements, as attacks at the federal level have left states and localities at the forefront of protecting and expanding reproductive freedom for women and all people throughout the nation. This is an exciting opportunity to be part of a wave of social justice work that will help ensure reproductive freedom for the next generation. The Legal Fellowship will work closely with the National Institute’s Policy and Strategic Partnerships Team, providing legal research and policy analysis to support our partnerships with organizations throughout the country working to advance reproductive health, rights, and justice, with a particular emphasis on abortion access. This person will play an integral role with our state and local level initiatives, supporting state and local partners to develop and support proactive policy development. This staff person will be joining a team that’s engaged in shifting its social justice framework to center racial equity as a core priority, as NIRH staff and board have committed to racial equity and have been engaged in a multi-year process to adopt a racial equity lens across the organization. This Legal Fellowship is a one year position that reports to the Senior Policy Counsel. This position is based in New York, NY. Working with the Senior Policy Counsel, the Senior Manage of Special Initiatives and other Policy and Partnerships staff on additional legislative and advocacy projects. 1 to 2 years relevant work experience, including experience prior to law school. DURATION OF POSITION: This is a full-time, one-year fellowship beginning immediately. Email a thoughtful cover letter, legal writing sample, resume, and unofficial transcript to humanresources@nirhealth.org with “Legal Fellow” in the subject line. Applications will be reviewed on a rolling basis. All applications must be received via email. No phone inquiries please. The National Institute for Reproductive Health is an equal opportunity employer. NIRH strives to build and support an equitable work community that attracts, develops, and retains exceptional people. 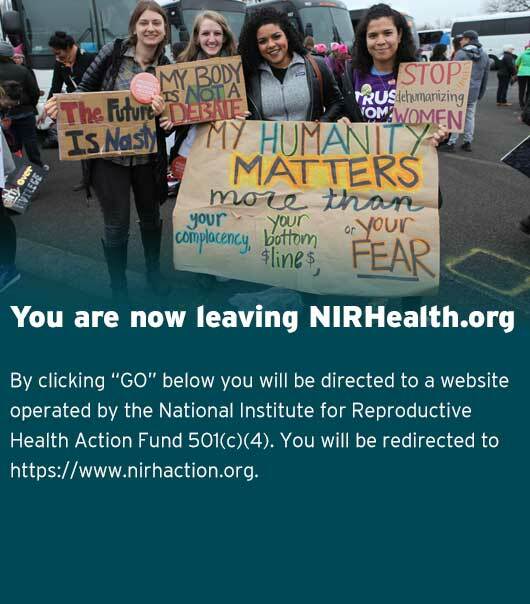 As a member of the reproductive freedom movement, NIRH aims to foster leadership and raise the voices of historically marginalized people, including but not limited to Black people and people of color, indigenous/native people, LGBTQ, gender non-conforming, and gender non-binary people, people with disabilities, immigrants, and low income people. We strongly encourage candidates of these and other diverse backgrounds to apply.